The new Chevrolet Cruze is available in both sedan and hatchback body styles, and comes packed with exciting features, such as Wi-Fi hotspot capability and available remote start. Browse our extensive selection of new Chevrolet Cruze models for sale below, then visit us at Stingray Chevrolet near Valrico and Brandon! One of our team members can set you up with a test drive. 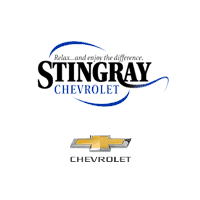 Why Buy A Chevrolet Cruze From Stingray Chevrolet? Contact us with questions about the Cruze model’s specs, features, and price! When you’re at our dealership, don’t forget to ask about our new vehicle specials!